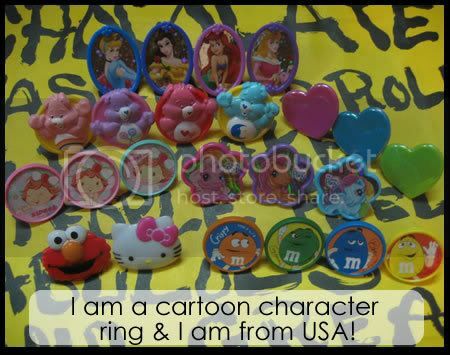 Elmo, Carebears, Disney Princesses and Hello Kitty, Heart Rings Sold Out! do you give disc if i buy 2? Interested in the Elmo Ring! Hi Amanda, what are available? belle, ariel, aurora, cinderella, hello kitty and strawberry shortcake A still have?